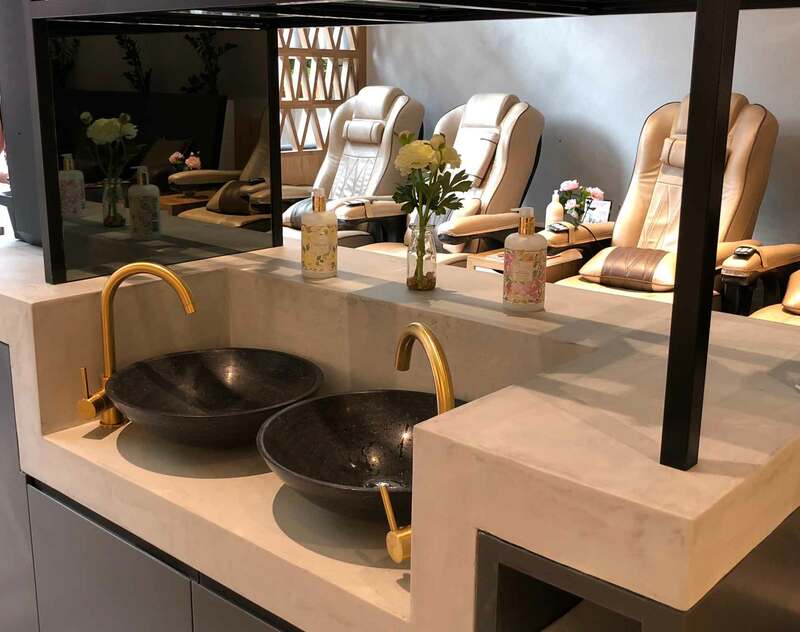 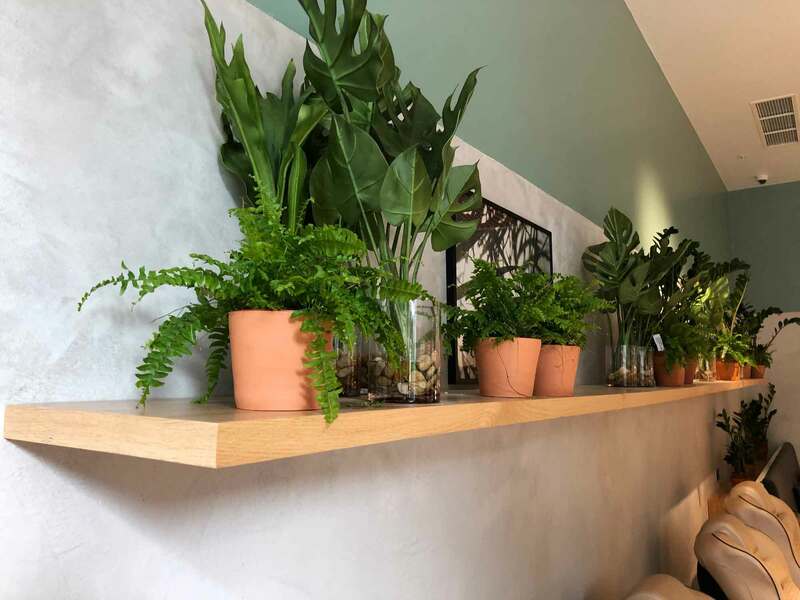 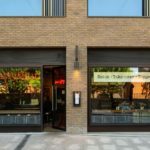 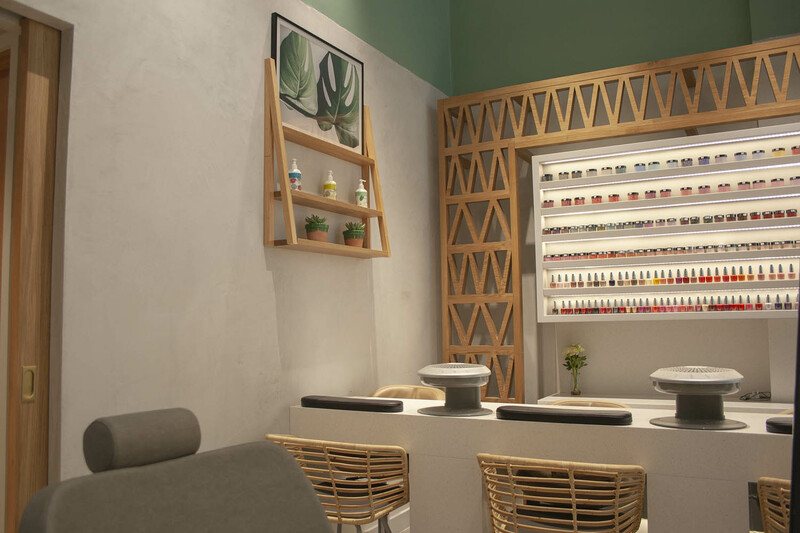 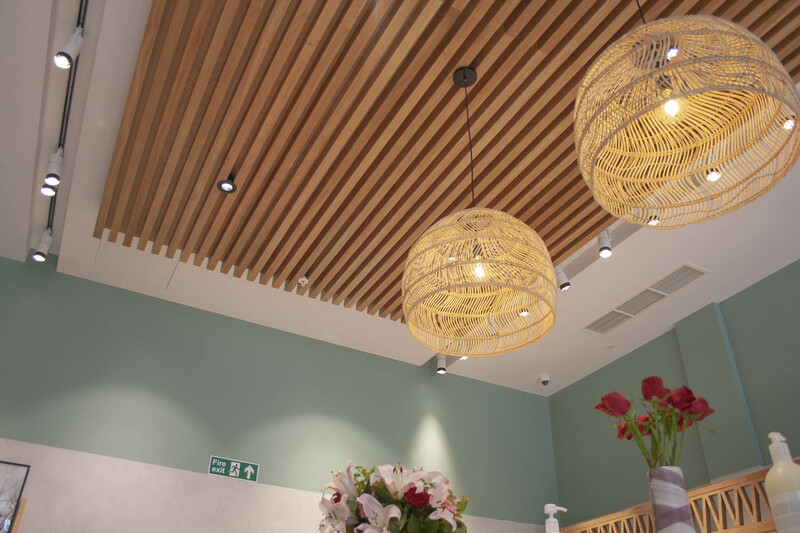 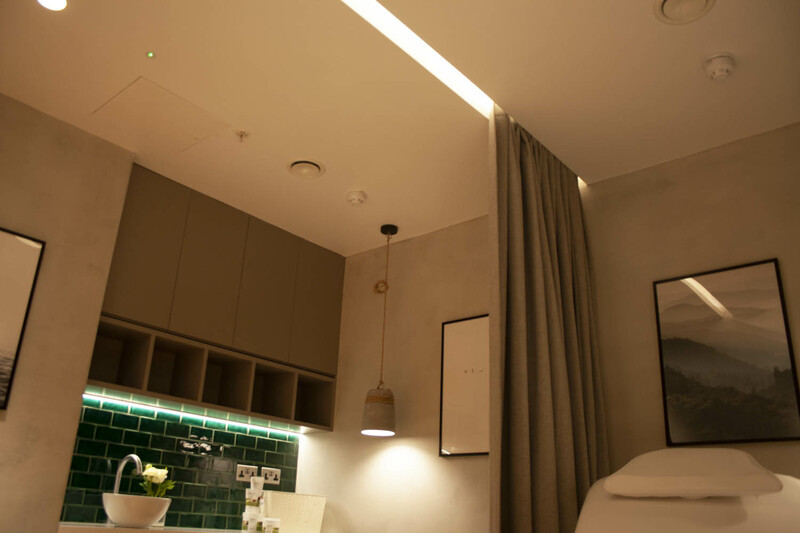 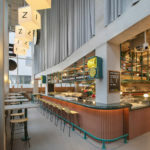 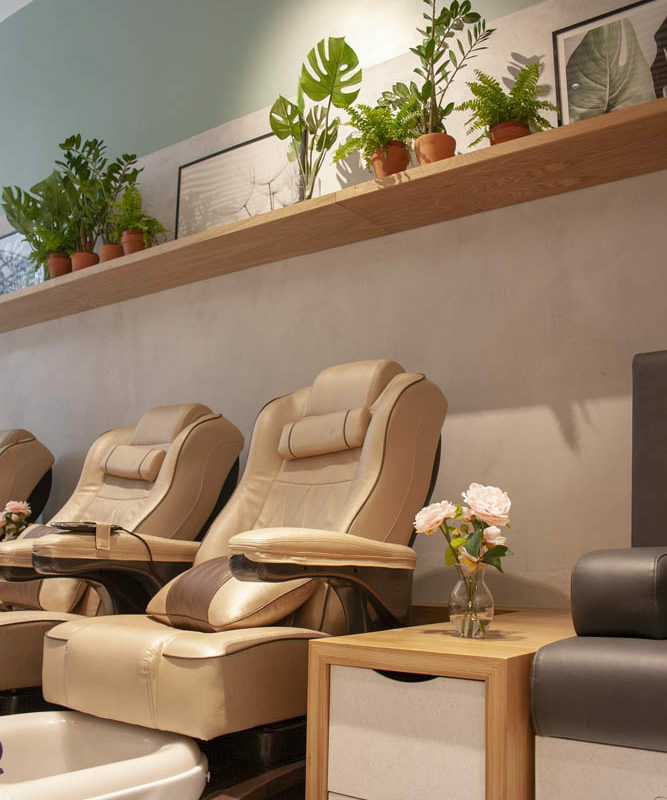 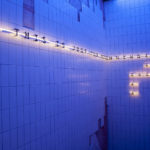 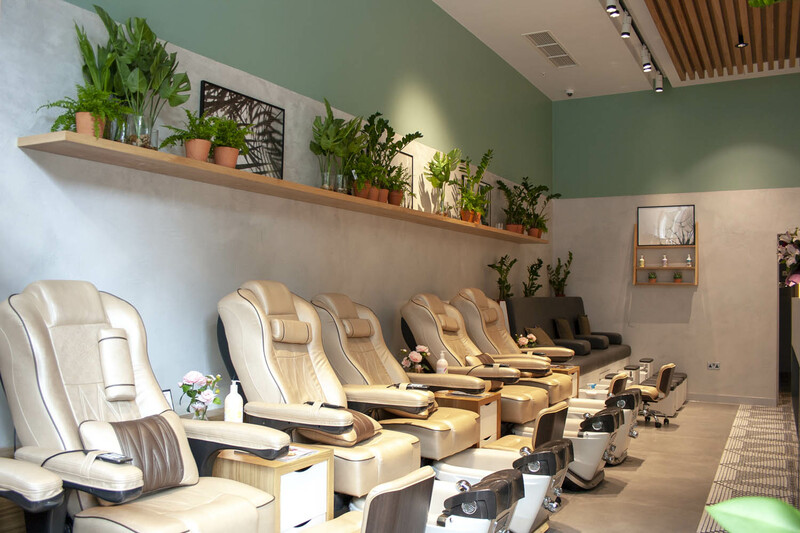 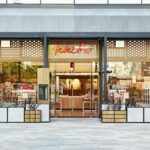 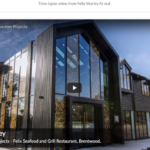 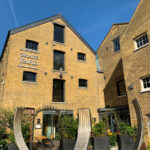 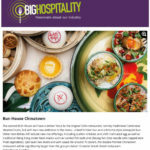 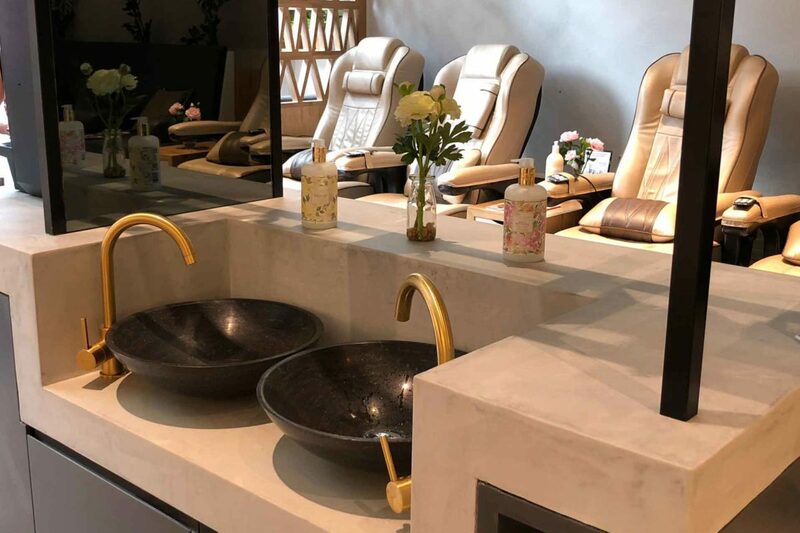 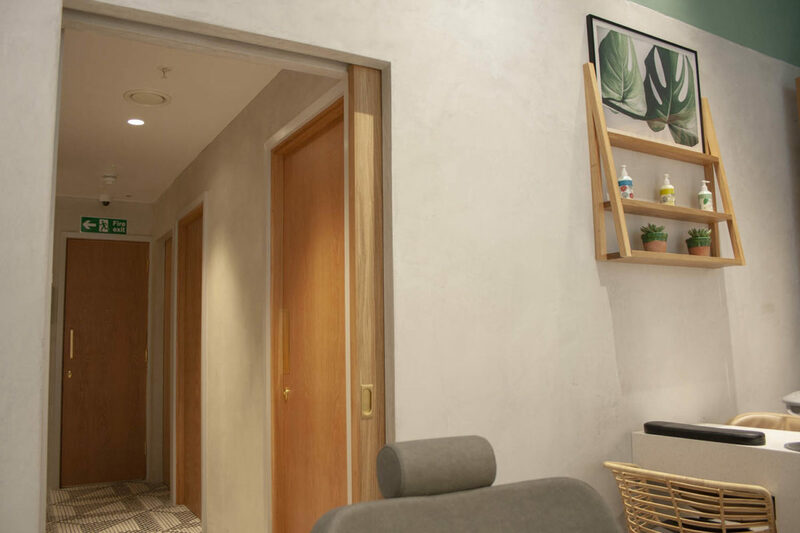 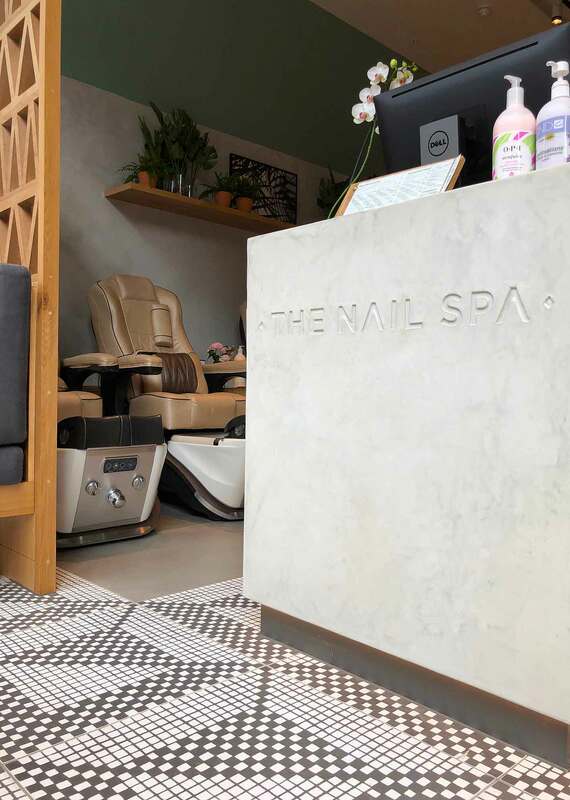 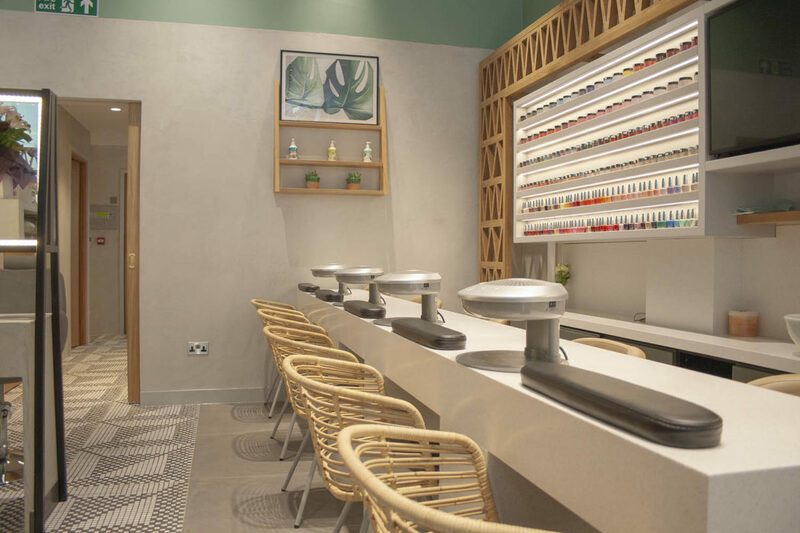 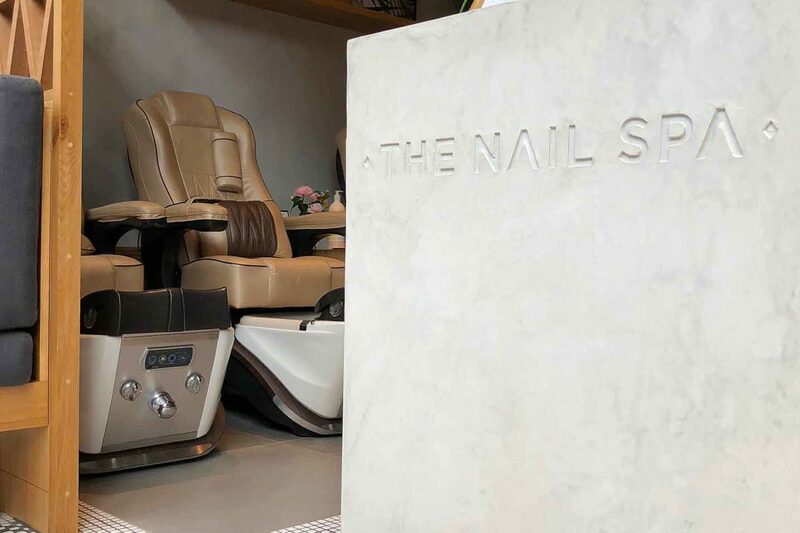 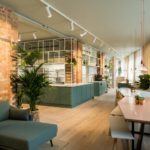 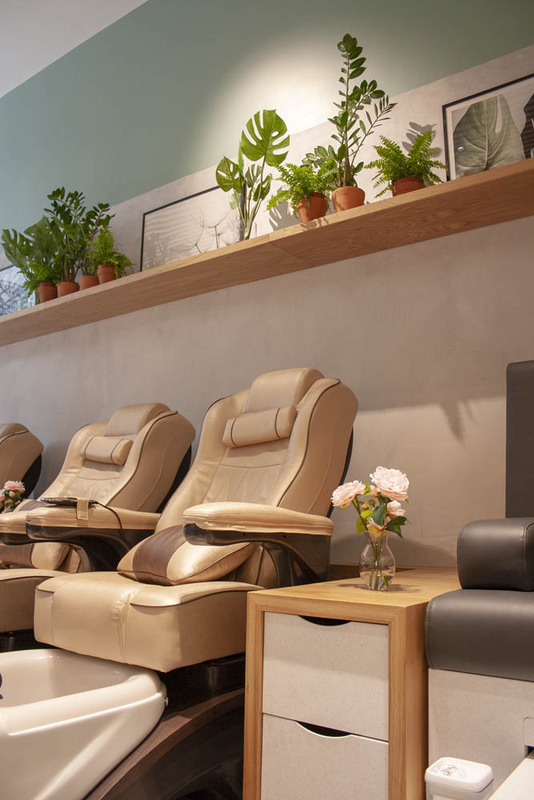 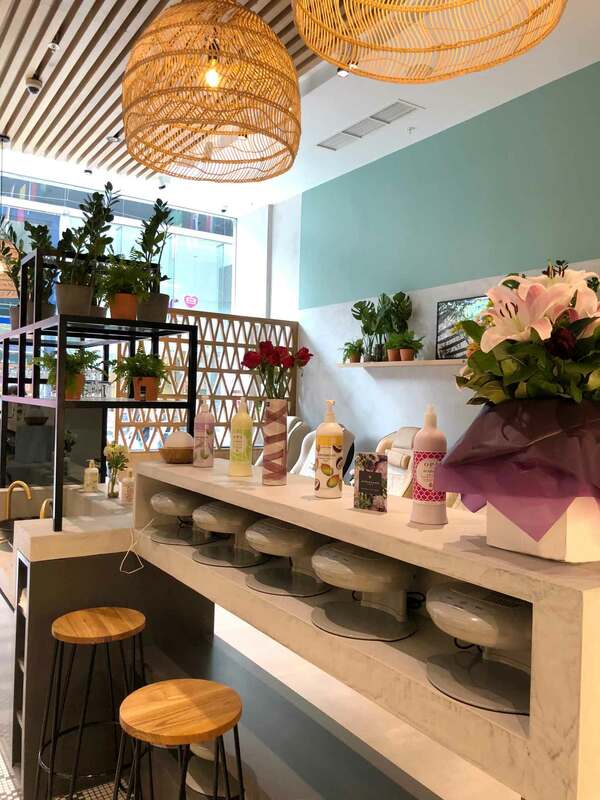 Bluecrow Projects have been working alongside Design Clarity to create an oasis of tranquillity that is “The Nail Spa” in Westfield, Stratford. 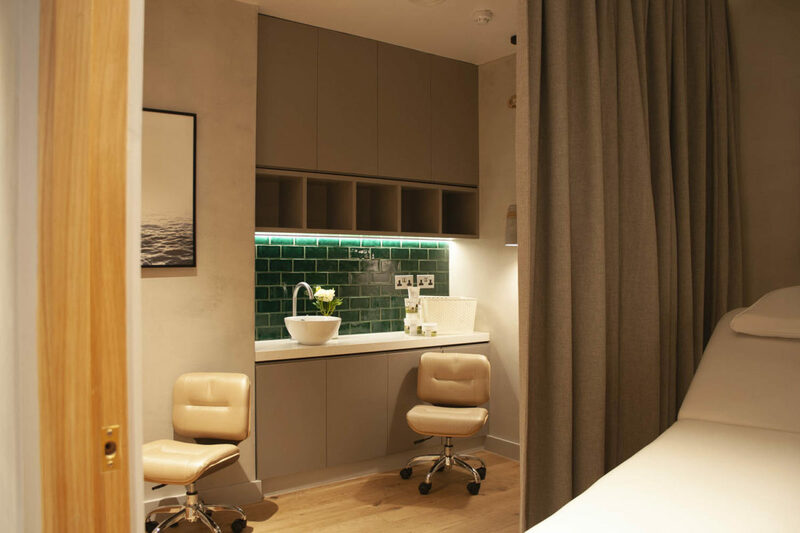 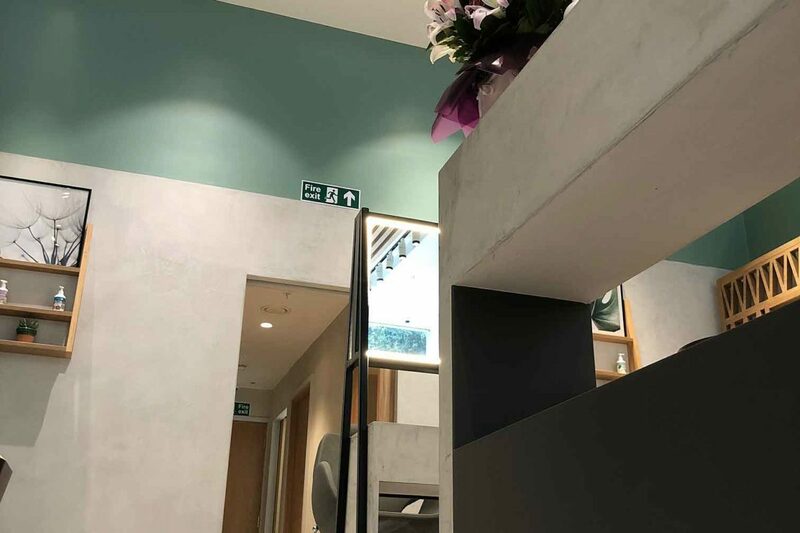 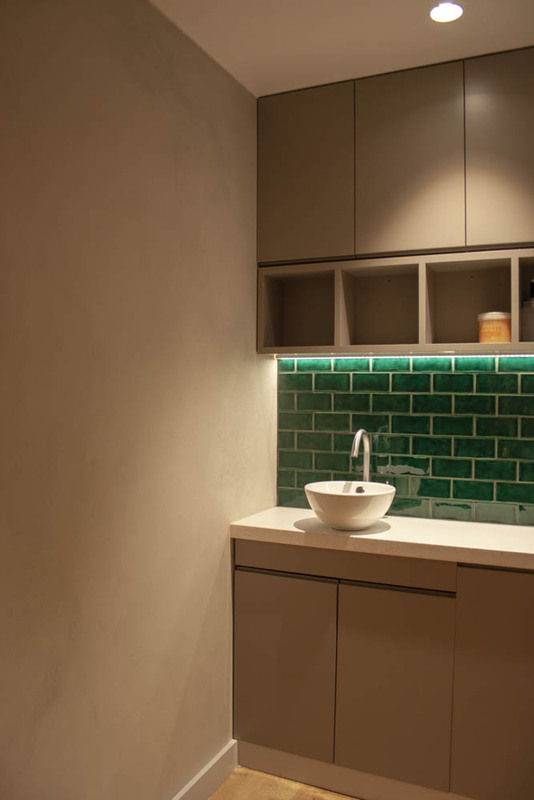 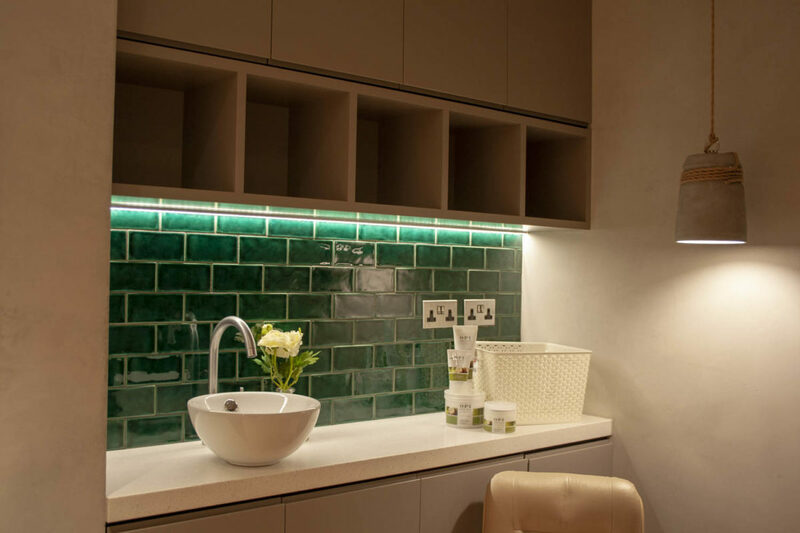 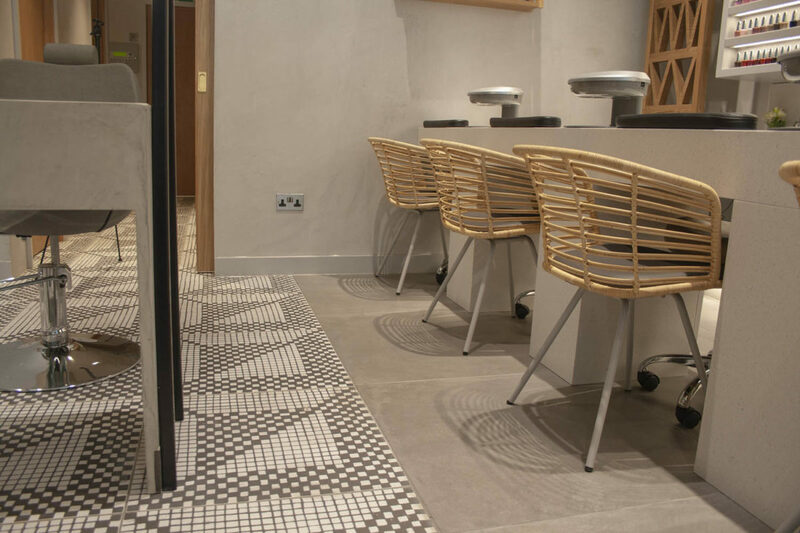 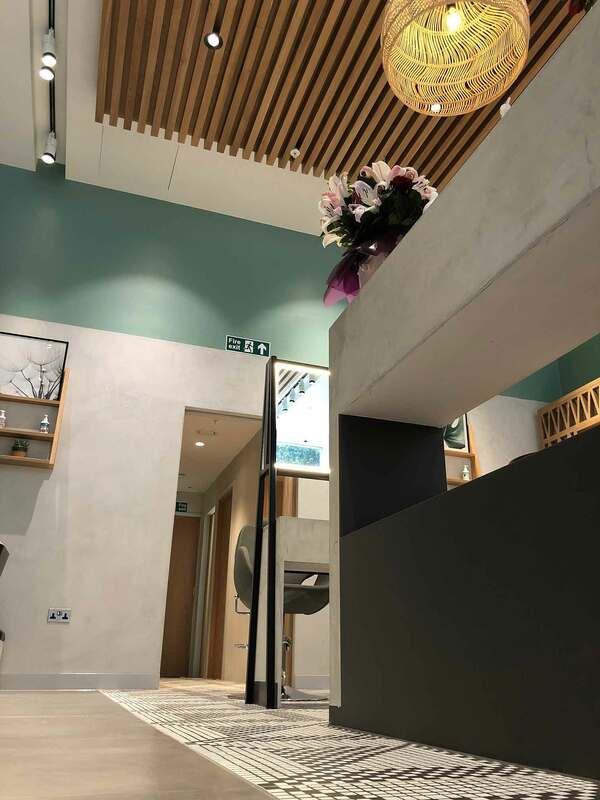 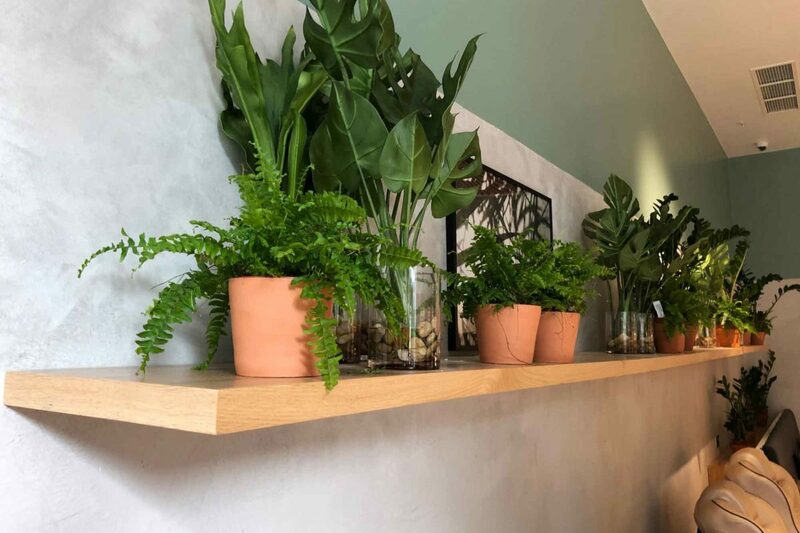 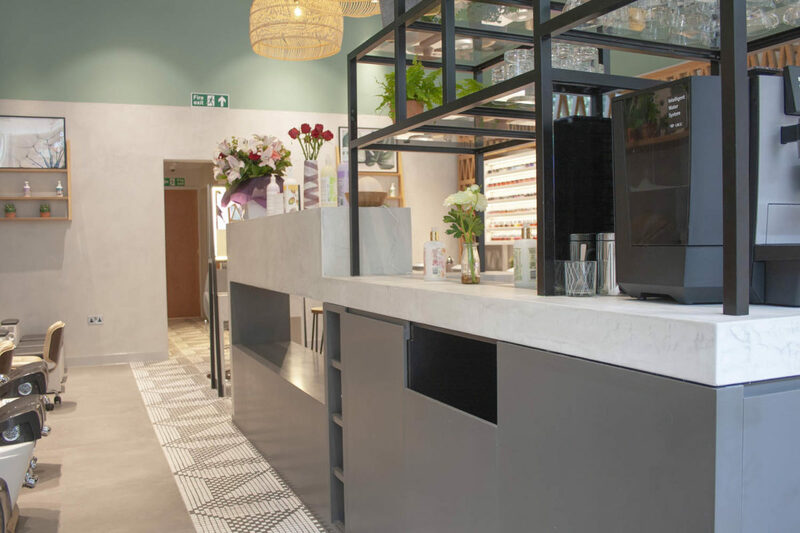 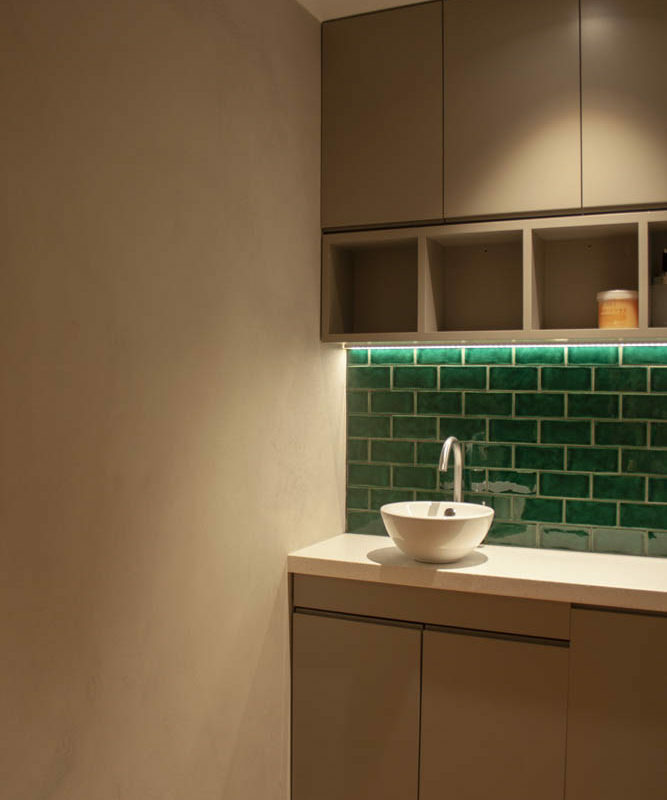 Bespoke joinery units throughout the store including the three treatment rooms, came in a variety of different finishes ranging from natural wood, polished concrete, mosaic & high gloss tiles and more. With the mosaic style floor from Italy taking centre stage, the contrast of this against the intricate detail of the oak panelling and surrounding display units works beautifully. 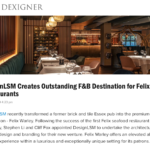 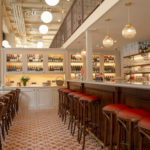 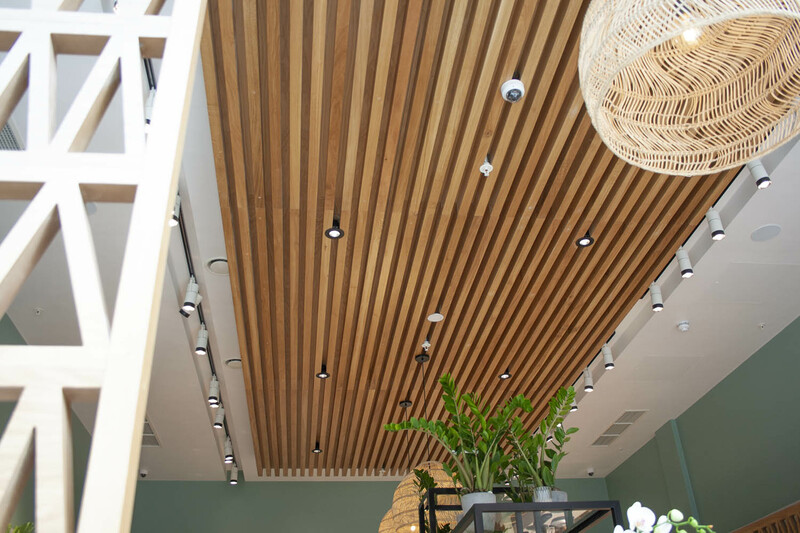 The oak panelled “raft” on the ceiling is made up of nine connected panels which weighed approx. 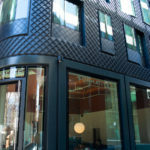 2 tonnes, this is an impressive and noticeable structure by itself. 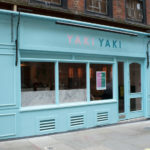 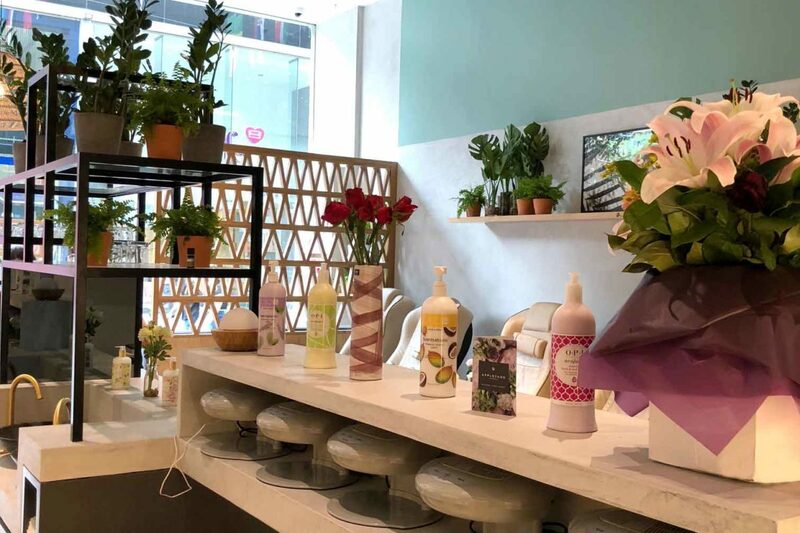 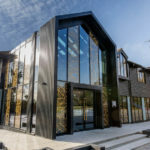 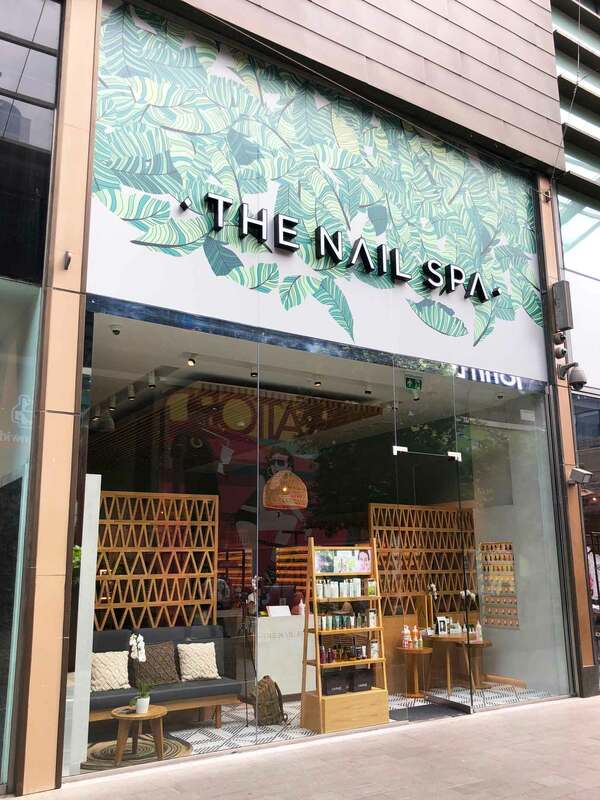 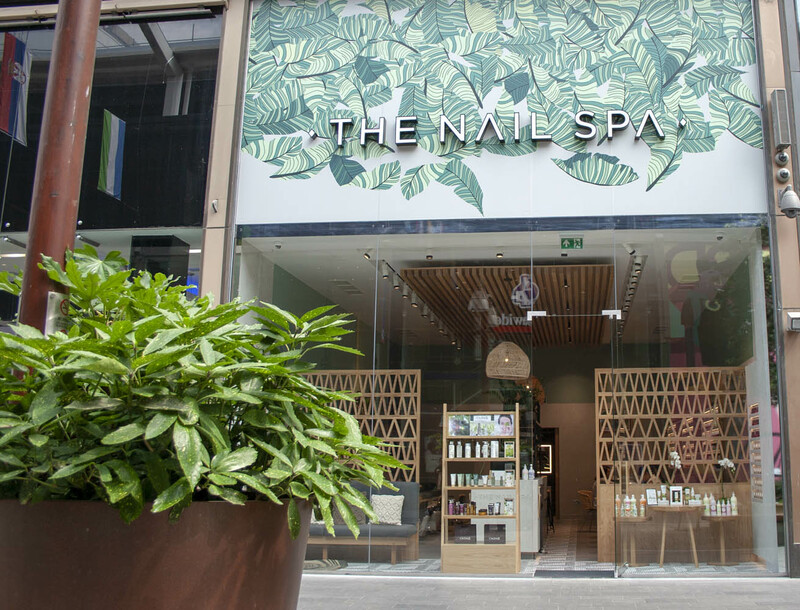 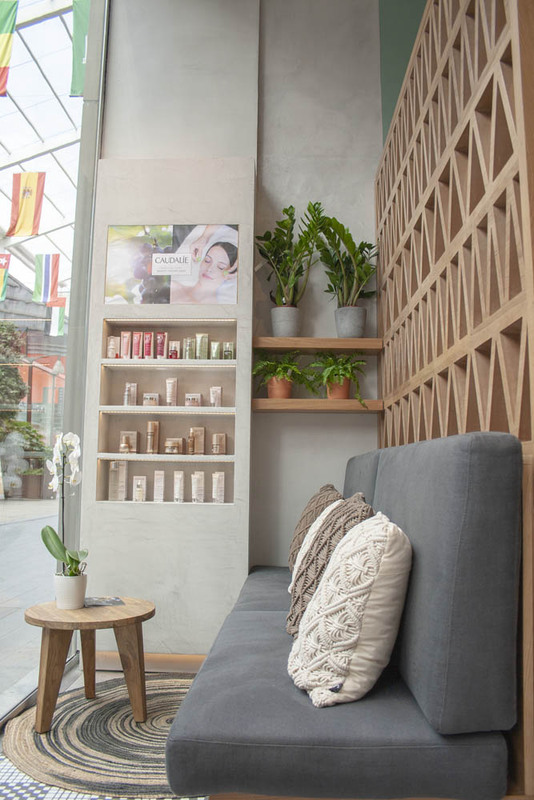 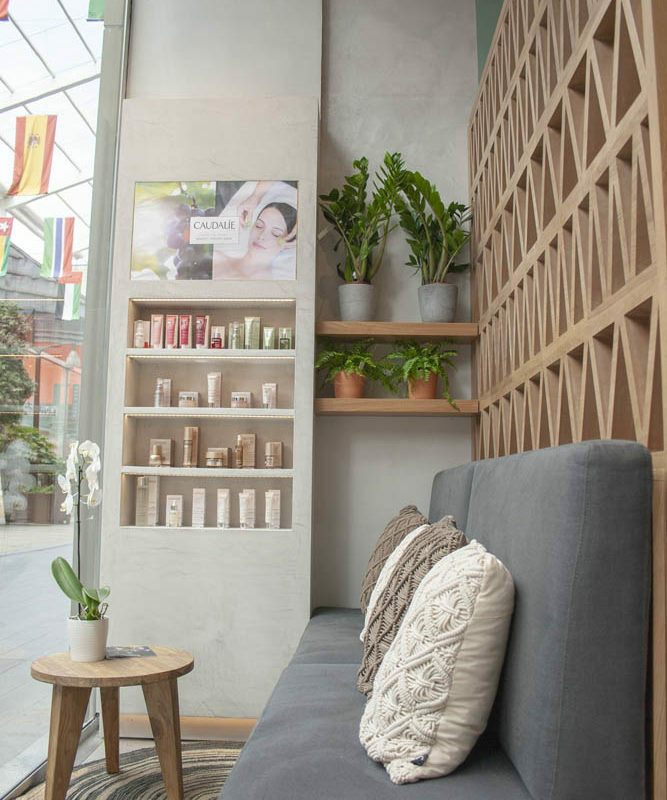 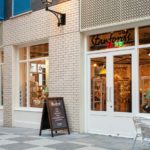 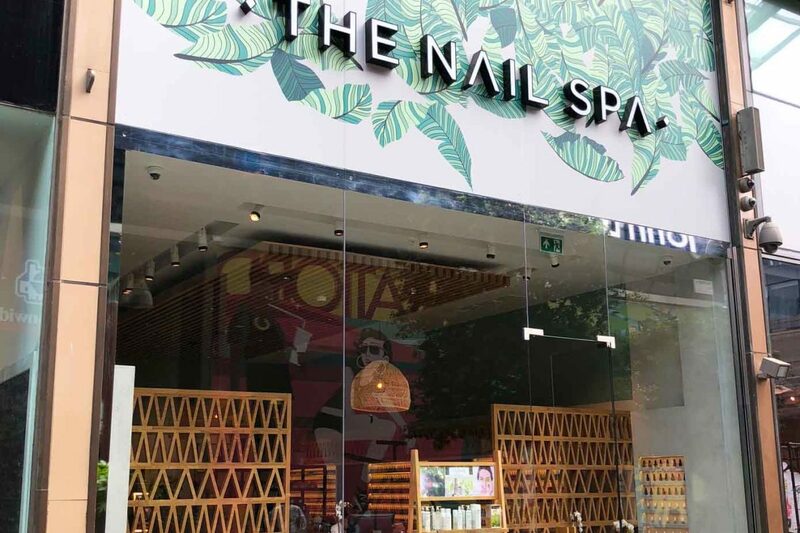 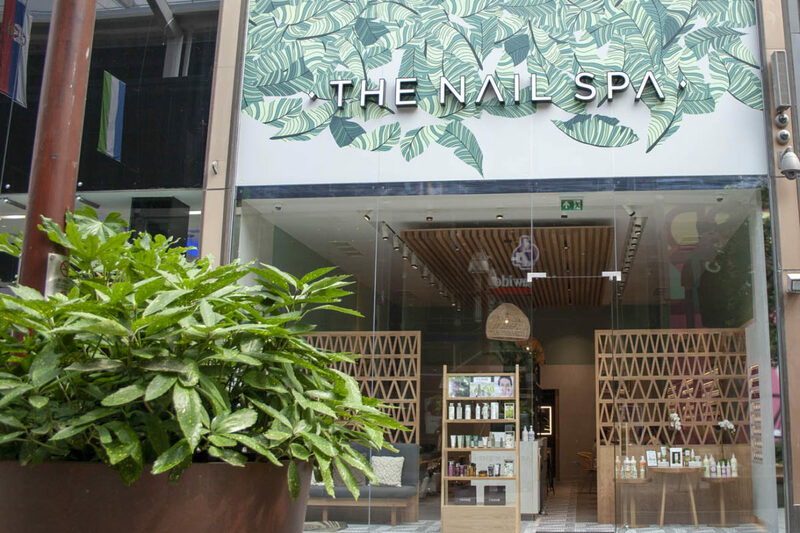 The eye-catching glass shop front with striking leaf logo design ensures The Nail Spa stands out from its neighbour’s, tempting the passer-by to sample the range of treatments available.